These three volumes are indispensable for students of English Literature. They have been written with the definite aim of serving the purpose of M.A. (Prev. And Final), B.A. Hons and Competitive Examinations. 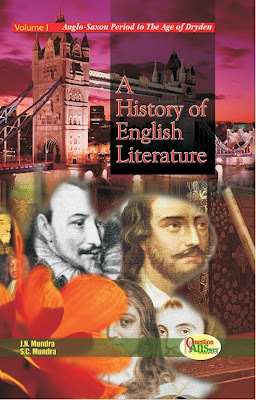 The authors in this book have presented in Questions and Answers the development of English Literature from the 5th to the 20th century. The study of these volumes will open before the readers the treasures of almost all the standard works of English Literature. The answers to questions are comprehensive and have been penned in an easy, graceful and delectable style. The authors have attempted to introduce concreteness in the answers so that points may be grasped and retained. I am currently reading your book "A Handbook of Literature in English for Competitive examinations". I have never come across any such book which covers all the aspects of english language like this one. There is a minor problem at the end of the book there are objective questions meant for practice purpose. I need the key (answers) to those questions. I am ready to make a payment if desired for the same.